The Toluna community offers our members a chance to for our millions of members to express their opinions. In our series of “Toluna Essentials” we’ll go over all the techniques you can use to get the most out of your experience with Toluna. 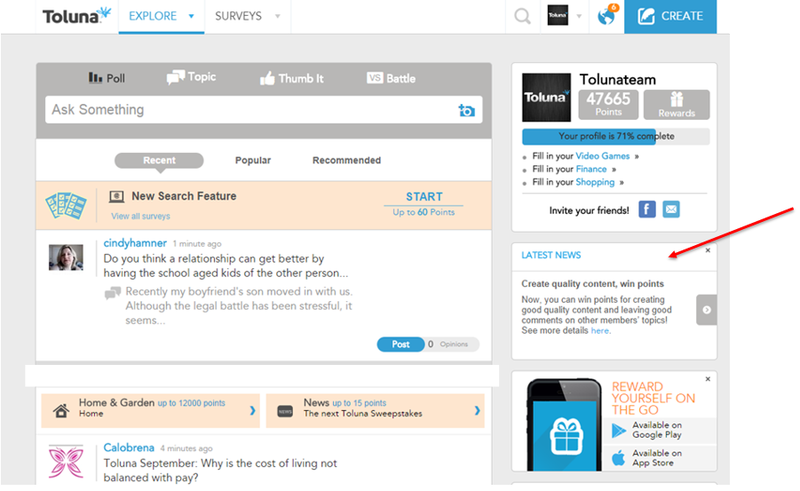 When logging into Toluna.com, you will see the homepage screen above. If you go up to the top, you’ll see an icon that looks like a globe, and in this case it has the number “6” in orange. These are notifications. 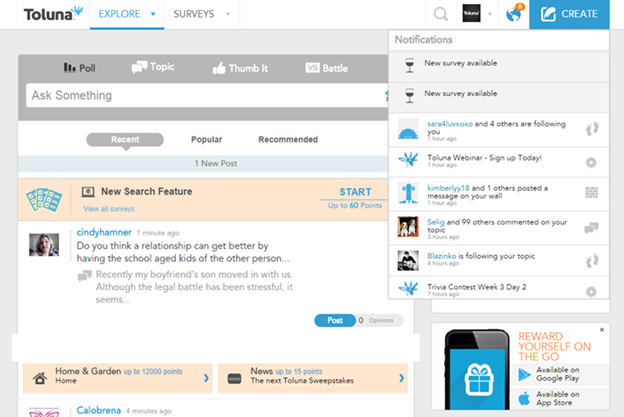 Our notifications will tell you when someone has written on your wall, when you qualify for a new survey, and also announcements like new reward offerings, and new contests. Be sure to check this every time you are on the site to keep up with the latest news and announcements so that you don’t miss out on major opportunities to win points! You can also stay up-to-date with blog posts and announcements in our “Latest News” section.